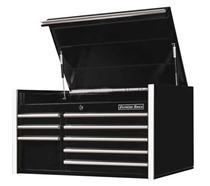 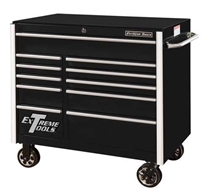 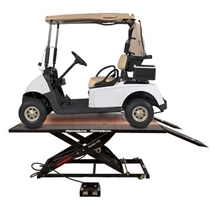 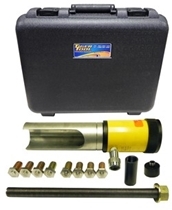 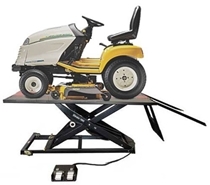 Tiger Tool has established a fine reputation for its design, and development of unique specialized tools to service the needs of the Light and Heavy-Duty Equipment Industry. 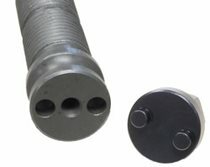 Tiger Tool King Pin Press generates 46,000 Lbs of force and weighs 42 lbs. 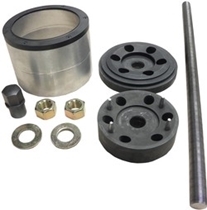 Tiger Tool Hendrickson Intraax Tri-Functional Bushing Adapter (#15041) adapter kit allows easy removal and install of the bushing while suspension remains on trailer. 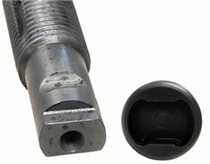 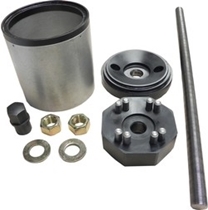 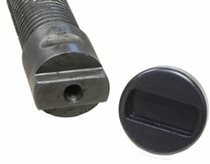 Tiger Tool Hendrickson Intraax Tri-Functional Bushing Adapter (#15040) adapter kit allows easy removal and install the bushing while the suspension remains on the trailer. 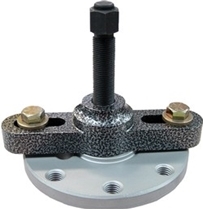 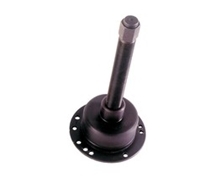 Tiger Tool 10902 Rockwell Hub Puller generates up to 25,000 lbs of force to remove difficult Wheel Hubs. 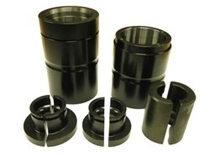 Tiger Tool 15010 Peterbilt #02-01805 & International #10651H, 1680034C1, 44409C1 adapter for use with #15000 Pin & Bushing Service Kit. 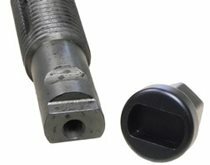 Tiger Tool Freightliner and Sterling Pin and Bushing #16-14603-000 adapter for use with #15000 Pin & Bushing Service Kit.